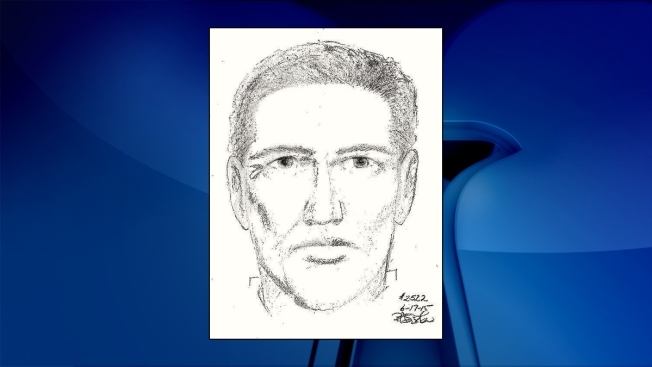 Police have released a sketch of a man who they say robbed a woman and threatened her with a knife in the underground parking garage of a Herndon grocery store. The victim, a 47-year-old woman, had been shopping June 11 at the Harris Teeter grocery store on Highland Crossing Drive. As she was returning to her car about 3 p.m., police say a man approached her and forced her into the passenger seat. He threatened her with a knife, demanded her phone and money, and fled when she handed them over. The suspect is described as around 50 years old with wavy hair. He was wearing a light blue shirt with light brown pants. Anyone with information is asked to call Crime Solvers at 1-866-411-TIPS (8477), send a message at www.fairfaxcrimesolvers.org or text TIP187 plus his or her message to CRIMES (274637).